Our love for all things stationery is one of the many things that set us apart. 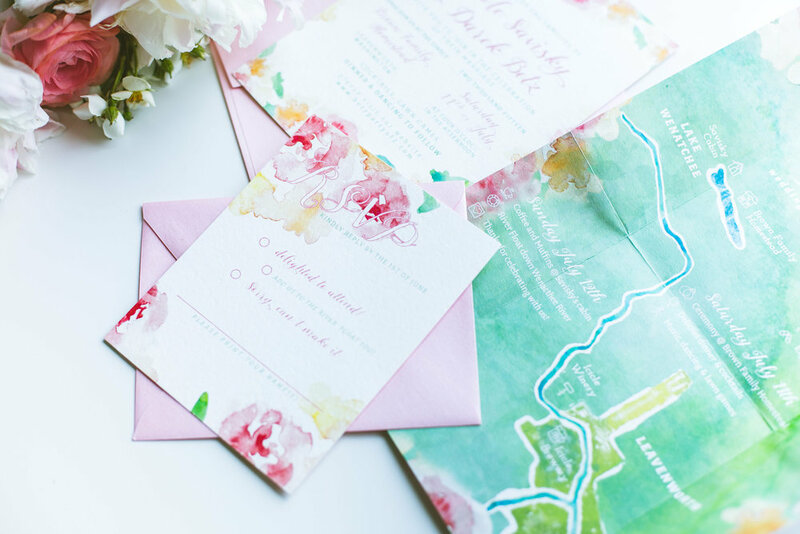 We believe that the customization and branding of paper goods personalizes the overall design of your event. Together we will collaborate with you on creating a custom design and manage the production and execution of it all. What does that mean for you? 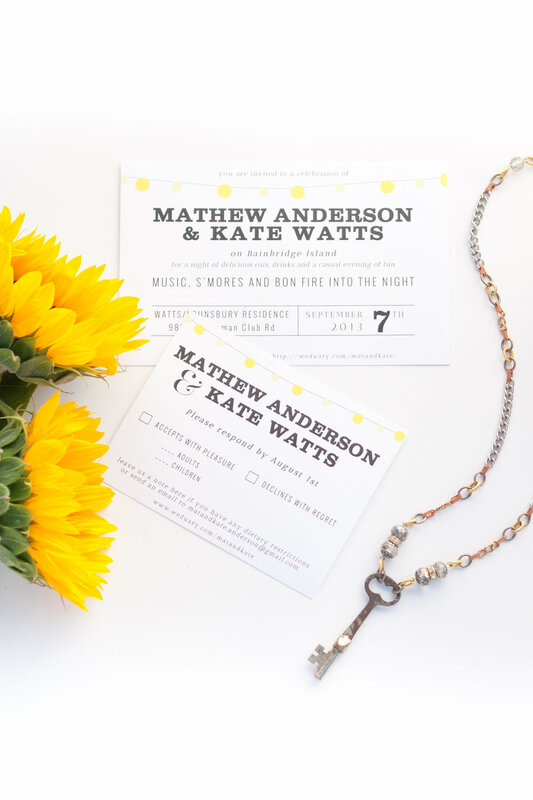 No more late nights of alphabetizing and assembling invitations... We've got it covered. So sit back and relax! 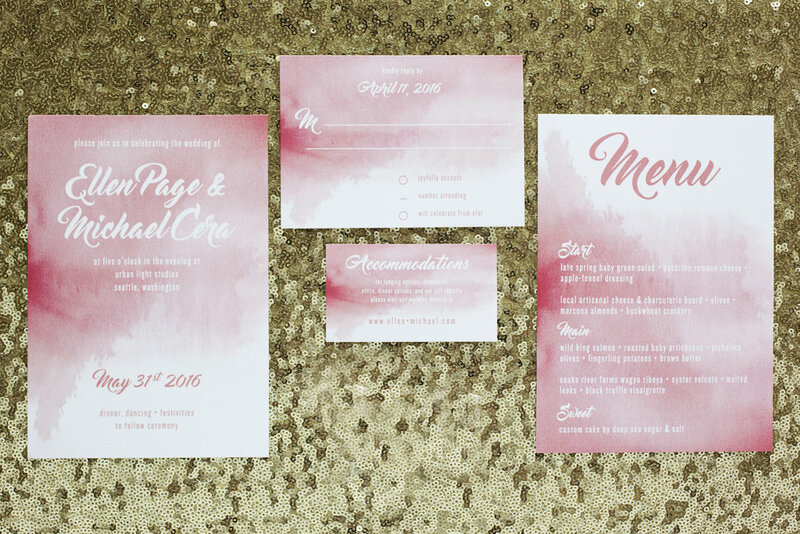 *Our Custom Stationery Design Service is an add-on service to our planning and design services. Wedding suite for an elegant & adventurous couple: Nikki & Darek's rustic-chic Leavenworth celebration was one not to be missed. It was a really fun challenge to create a custom watercolor map with location & descriptions of the wedding weekend festivities. Keeping with a sweet mint and metallic gold foiled theme for Mike & Michelle's wedding, while capturing the farm house style of their venue with laurels and a slate background. A clean, type-driven invitation suite with a simple string light motif, which was carried throughout the ceremony & reception. Ready to dive in & get an estimate? Please fill in the following Questionnaire to get a quote started.